One of the main principles in Iyengar Yoga is concerned with working within the asanas to establish correct action and appropriate directionality. Much of the credit for this blog must go to my senior teacher Alaric Newcombe who introduced me to this concept. If we look at a straightforward asana like Urdhva Mukha Svanasana, the actions might include: “spread the palm of the hand” “roll the wrist towards the thumb” “move the coccyx in” and “move the shoulder blades into the back”. The directionality of this asana is more concerned with big movements: “lift the thighs up” “move the chest forwards and up” “stretch the heels back“. Differentiating between these efforts can genuinely help to improve understanding of an asana and how to work. In the initial stages of learning we might be more concerned with the directionality and shape of the asana. Once there is some understanding of these broad strokes (you can imagine a painter learning to use a brush and creating the strong outlines of a painting), we can begin to add more detail and refinement within the shape. Then we begin to find that action and directionality are intrinsically linked and that the more we learn to hone the actions, the better our sense of direction within the posture. Like reading a map, we begin to find that the landmarks help to guide us where we want to go, in spite of variables that will undoubtedly come in our way. On any given day we may find that the direction is harder to access, so we can work on the actions and see if it comes. On another day, the direction may be there but the actions may not be as accessible…So we work with what we have to create the best piece of art we can in that moment. I wrote a blog as an introduction to the Iyengar method which is now on the Tri Yoga website. The Iyengar yoga certification mark is licensed only to certified Iyengar teachers. A sign of excellence, clarity and depth of understanding. This is a dedication of gratitude to BKS Iyengar, who’s life and work has inspired me and led me to seek the answers to questions that I had never even thought to ask. For many people, the idea of starting to practice yoga at home seems daunting. Is there enough time between family duties, work, social life? What if I do something wrong? Can I justify spending time doing some yoga when there is so much to do? These are all questions that trouble us and lead us to put off home practice until another time. Yet, it would be great to experience the feeling that we have after a good class on a more regular basis. 2. Start with something simple. We often do many different postures during Iyengar yoga classes and it is sometimes difficult for beginners to remember instructions and repeat them on their own. So, just begin with what you can remember. See if you can recall the postures that you enjoyed during the class and have a go. If you only have time for 10 mins of practice to start with that’s fine. When I first began practicing at home I would do 10 mins or so of stretching before going to work. It started every now and then and grew the more I developed an interest. Don’t put pressure on yourself to do too much. Just do what you feel like and enjoy it! If you want some advice about your practice, ask your teacher. He/she will be able to advise you on sequencing (the order of the postures), relieving pain and discomfort, practicing during menstruation or pregnancy and much more. Remember, all Iyengar yoga teachers are extremely well-trained and it’s their job to know these things! Remember you can do yoga anytime anywhere. Don’t be ashamed to practice yoga wherever you can. Sometimes, the need to stretch is strong and whether you’re at your office, on a train or bus, in a restaurant or in the supermarket checkout queue, just do what you’ve got to do. I’ve had some great conversations with people at train stations who have asked what I’m doing and this has sparked fascinating conversations. Finally, if you’ve managed to fit in a bit of yoga practice in your busy schedule, recognise it and enjoy the feeling of accomplishment! The journey has begun and it will be immensely rewarding, however far you choose to take it. Above is a link to some Iyengar Yoga practice sequences which you might enjoy. 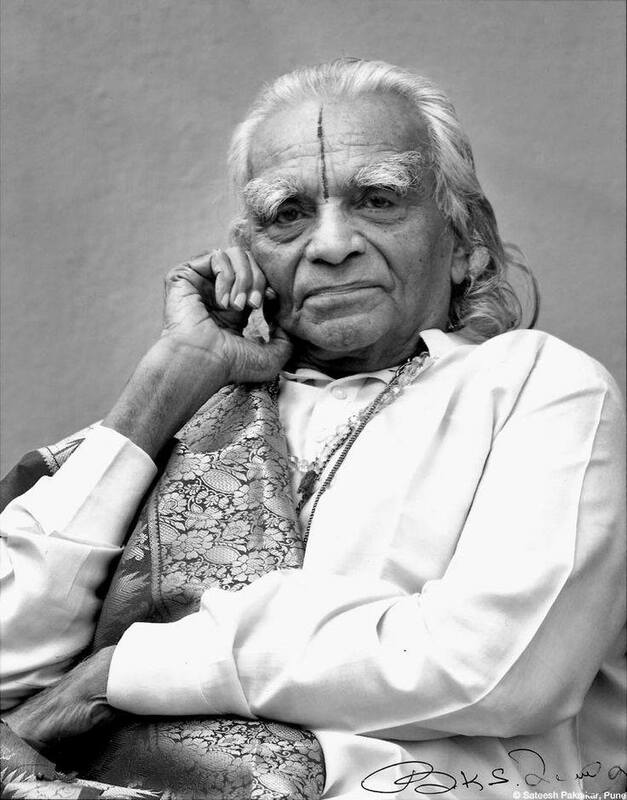 Here’s a clip from the forthcoming documentary about BKS Iyengar. When it becomes available I’ll be trying to organise a viewing of it. Enjoy!